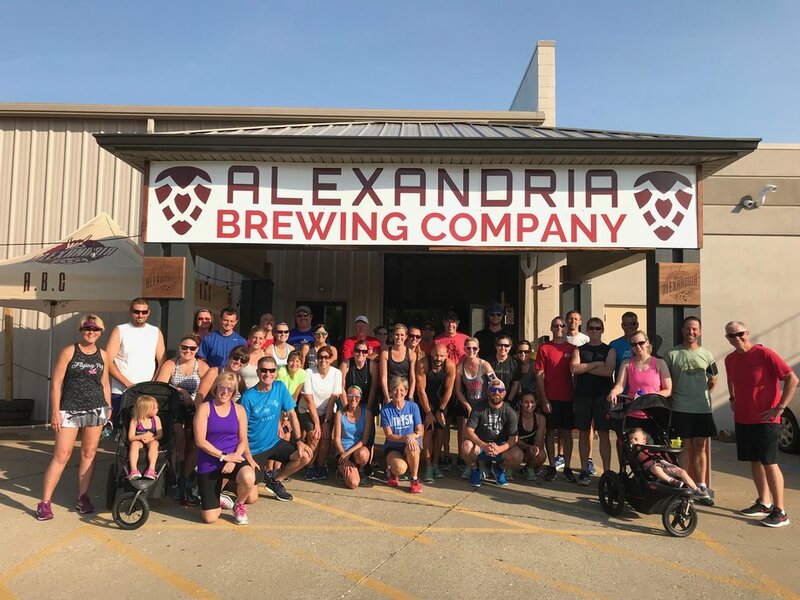 You are invited to join the Alexandria Running Crew (ARC)! Here is the deal, we will be meeting once a week on Thursdays through October. On the second Thursday of every month there will be a 5k fun run in place of the normal meeting. These are not races, but an opportunity to run with a group, get in shape, and/or start a fitness regiment. Any level / age is welcome. We do ask that if you do bring a youngster that they are able to follow directions and know general traffic laws (look both ways before you cross the street, cross walk sign meanings, etc...) and that if they are under 12 you run with them the entire time, safety is our number one concern. You can now become an official member of the A.R.C. just by showing up. We even offer a new membership deal where you can receive a moisture wicking running shirt branded with the A.R.C. logo, a branded water bottle, and a snack after each run for the rest of the season. All of this goodness is only $35 + tax. To join the A.R.C. see Mark, Mike, or Jason at a run or find any Alexandria Brewing Company staff member. If you with to do the package deal, you just enter the information on your application. Please get here early to register and fill out the liability waiver (see below to complete ahead of time). You can also fill your water bottle using our filtered water fountain. For questions about the route or about ARC, please email Jason at foweej@yahoo.com. Click the button below for waiver. Please Print, fill out, and bring with you on Thursday.